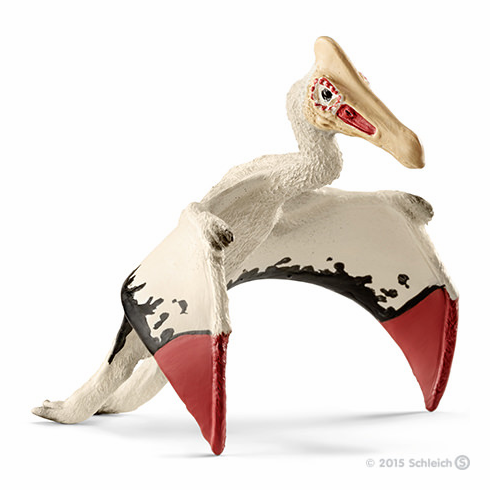 Named after an Aztec deity, the Quetzalcoatlus was the largest airworthy animal ever found. With an impressive wingspan of nearly thirteen metres, this reptile also had a long neck and head, and nearly three metres long legs. This reptile, covered with a light fur, had the physique of a bird - with hollow bones and powerful wings, and was able to look for food, wading in the water. Despite its size, the Quetzalcoatlus probably only weighed about 100 kg.